We uphold the highest standard in management, safety and health on every project since our management firmly believes in delivering the best quality of service to both suppliers and clients is the best way to maintain strong partnerships. 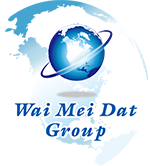 Wai Mei Dat Group was founded since 1994. Our company has continually evolved and takes pride in its high quality of service and the caliber of its management team. We provide material recycling solutions that are economical and environmentally friendly to world-wide organizations and private companies. Wai Mei Dat Recycling Co. Ltd. Provide environmental recycling and e-scrap processing solutions to elevate clients’ return on precious metal. Act as the primary liaison to both suppliers and clients. Pay visits to them regularly to understand their requirements. Maintain a high level of trucks to transfer containers safely from container terminals to warehouses. Offer hundreds of quality containers that are sufficient to transfer materials from container terminals to warehouses in spite of fluctuating shipping demands. Regulatory compliance - as part of their duties and obligations, all staff are to pay close attentions to the rules and regulations of governmental entities. Resources optimization - nature has the greatest valuable asset offered to the man-kind. All staff are cultivated to appreciate and make good use of natural resources. They are trained to maximize utilization and minimize waste in their daily tasks and work activities. Pollution minimization - we make all efforts to reduce environmental pollution, including gas, water, noise and solid waste. Customer satisfaction - in the pursuit of excellence, we offer unmatched quality of service, products at competitive price and timely performance to all of our clients. Quality assurance - we see quality as the critical factor to our success. We invest and train our staff to ascertain this important concept and assist them to see it in their success too. Continuous improvement - we evolve and stand against the test of time. We shall succeed in this changing world. On top of last public clarification statement dated on 30/05/2018, WMD HK is further proven by Environmental Protection Departmetn, HKSAR that there is no violation records found from our company. According to local news activist, HK01 dated on 05/06/2018. WMD Group is welcome on this add-on remark and we will continues to operate our business in full compliance of laws and regulations. Wai Mei Dat Thai Recycling Co Ltd is a legally disassemble electrical and electronic components company licensed by Department of Industrial Works in Thailand since December 2017. We provide the dismantling operation with our client in Thailand that did not engage any illegal importation or unlawful operation. Employees under Wai Mei Dat Thai Recycling Co Ltd are all gone through legitimated employment conditions. All Thai employees are recruited by lawful out- sourcing company with all necessary working visa and working insurance. There is no ”undocumented citizens” claimed in the press in WMD Thailand. Although Wai Mei Dat Thai Recycling Co Ltd is not certified any ISO or R2 standards, WMD Thailand and WMD Group put environmental and health and safety operation at our core business values. We uphold the highest standard in management, safety and health on every project since our management firmly believes in delivering the best quality of service to both suppliers and clients is the best way to maintain strong partnerships. Our company will always comply with different laws and regulations in different countries. We regret for the published about the incorrect news from THE NATION and we reserve the rights for any legal actions any incorrect news published against WMD Group. R2, ISO 14001 & OHS 18001 certificates apply to the Wai Mei Dat Group Limited/ Wai Mei Dat Recycling Co., Ltd. / Wai Mei Dat Trading Co., Ltd.
ISO 9001 certificate applies to the Wai Mei Dat Group Limited / Wai Mei Dat Recycling Co., Ltd. / Wai Mei Dat Trading Co., Ltd.
R2, ISO 14001 & OHS 18001 certificates apply to the WMD International Inc.